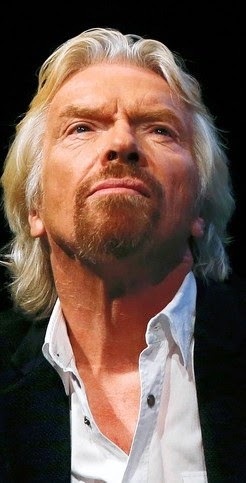 Billionaire businessman Richard Branson's £350m Virgin Atlantic experimental Spacecraft called the SpaceShipTwo crashed after an explosion during a test flight over the Mojave desert in California, killing one pilot, and seriously injuring the other. The spacecraft broke apart soon after it was detached from the launch plane that carries it to 45,000ft. Despite this, Sir Richard has vowed to carry one with his attempt to reach space. He is due to arrive the scene of the accident to see the wreckage of the experimental plane he'd hoped would take him, his family, and paying customers, beyond Earth. Writing on his website while en route, Sir Richard said it was "one of the most difficult trips I have ever had to make. We've always known that the road to space is extremely difficult - and that every new transportation system has to deal with bad days early in their history. Space is hard - but worth it. We will persevere and move forward together".